There are many causes of facial hair loss including genetics, laser hair removal, burns, injury, or surgery. Mustache transplant surgery procedure goals can range from a full restoration to minor filling in of a limited area. Mustache transplant Palm Beach Gardens is a procedure which restores hair to the mustache area. 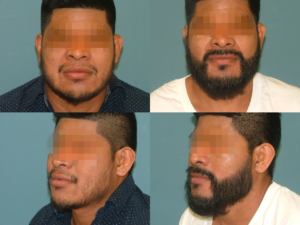 Facial hair transplants can also be used to conceal scars. A mustache transplant surgery is similar in method to a hair transplant surgery and the transplanted hair grows and can even be shaved just as you would other facial hair. The experienced doctors at Estetica Institute of the Palm Beaches are here to help with your facial hair loss concerns. The NeoGraft method of mustache transplant surgery is a minimally invasive solution. Why Choose the NeoGraft Hair Restoration Method? The FUE (Follecular Unit Extraction) hair transplant is a minimally invasive procedure, in which the graft from the back of the head (donor area) is harvested individually and placed in the thinning or balding areas on top of the head. Unlike the traditional STRIP method, which requires the physician to surgically cut and remove a strip of the scalp from the back of the head and implant it into balding area, the high-tech NeoGraft FUE device extracts follicular units and repositions them in the thinning areas. This alleviates any clumping of the transplanted hairs or scarring. Estetica Institute continually strives to provide its patients with access to the latest advances in medical technology. As part of our commitment to patient safety, we follow strict standards for confirming safety and efficacy before using new tools or offering new services to our patients. Our Board Certified Plastic Surgeons in Palm Beach Gardens and Expert Injectors and Aestheticians take great pride in continuously providing consistent and outstanding cosmetic surgery and non-surgical procedures and providing all of our patients and clients with dramatic and satisfactory results. If you would like to learn more about the mustache transplant Palm Beach Gardens or to schedule an appointment, please call 561-776-9555 or fill out the form on this page. 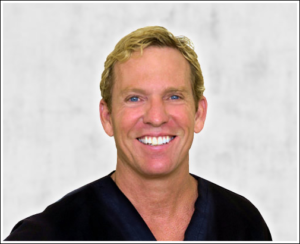 Dr. Greg DeLange is a highly trained and experienced Board Certified Plastic Surgeon. He graduated from the University of Miami School of Medicine and then completed his Surgery Residency at the University of Texas. After completing a year as Chief Resident, he followed his General Surgical training with an additional two years of Plastic Surgery Fellowship at the prestigious University of Florida Shands Hospital. Dr. DeLange has performed over 20,000 Plastic Surgical cases and is certified by the distinguished American Board of Plastic Surgery. Estetica Institute of the Palm Beaches is a leading Plastic and Cosmetic Surgery Office in Palm Beach Gardens, Florida. Our Board Certified Plastic Surgeons, Expert Injectors and Aestheticians take great pride in continuously providing consistent and outstanding cosmetic surgery and non-surgical procedures.